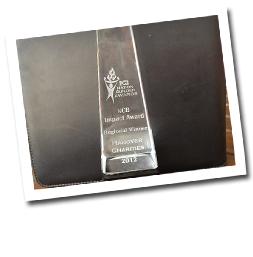 Hanover Charities Wins – 2012 Nation Builder Award. The Nation Builder Awards were established to recognize those African Americans who have distinguished themselves through lifelong service and dedication to the enfranchisement and inclusion of Americans of African descent into the national body of politics. December 2012, Kingston, Jamaica: Hanover Charities, the 55 year old foundation based in Western Jamaica has been recognized by the NCB Nation Builder Award Scheme with its winning of the Regional Nation Builders Award for Impact. Speaking from the charity’s office in Hopewell, Hanover, Chairperson for Hanover Charities, Mrs. Katrin Casserly comments: “This is a great honour and acknowledgement of the efforts of not just Hanover Charities but for all the loyal donors and volunteers that are such a large part of who we are”. The NCB Nation Builder Awards highlights outstanding entrepreneurial performance and sound operational practices, with strong emphasis on contribution to community development. Awardees are judged on recent financial performance, strategic direction, product or service innovation as well as leadership in community development. 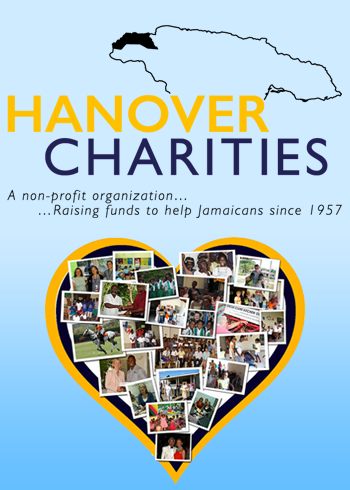 In the last 10 years alone, Hanover Charities has raised more than USD$ 1,400,000.00. Explains Casserly: “Everyone who works with our Charity is a volunteer so these funds go directly towards fulfilling the mission statement “to improve the education and health of the citizens of Hanover Parish”. This includes feeding over 700 elderly, ill and indigent citizens each week from the Charities’ newly renovated and renamed “Cecile Clare Kitchen of Love” in Lucea”. With an emphasis on the youth of the west – other areas the Charity supports are facilities, clinics, institutions and projects that provide health care, as well as organizations that promote positive values and education for children. The Morris-Watkins Memorial Scholarship, set up by the Charity 12 years ago to honour two former and formidable Chairwomen, provides financial aid and scholarships to between 35-40 promising tertiary level Students annually. The main fundraising event for Hanover Charities is the Sugar Cane Ball. Last year’s themed Ball, Pirates of the Caribbean, raised USD$136,000 in one night. This years fundraising ball is being held on February 16, 2013 at Round Hill Hotel and Villas and this year’s original theme is Studio 54. Click here for more details on the 2013 Sugar Cane Ball.